You can now check out 'Twist' on Soundcloud or Spotify and buy the album on CD or on iTunes. As of the 21st of April (Record Store Day) 'Twist' will also be available as a beautiful handnumbered gatefold 2LP including one etched vinyl side and the CD as an extra bonus. Limited to 300 copies so don't miss it! 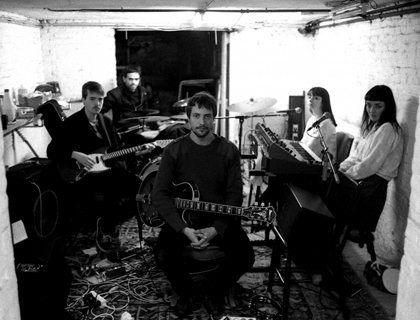 Now Flying Horseman have released their second studio album 'Twist'. For this album the band worked with producer Koen Gisen, who has also worked with bands such as the Bony King of Nowhere. Twist has become a dark romantic album, sultry and ghost-ridden, the ultimate soundtrack of the night. It builds on the atmospheric roots rock of the previous album, Wild Eyes, but its patterning is lush and its orchestration subtle by comparison. Debut album Wild Eyes has introduced this intriguing band to huge critical acclaim both in Belgium and abroad. Twist represents another bold throw of the dice. 'Back Where I Started' is the first single taken from Flying Horseman's new album 'Twist'. If you haven't seen the video yet, we invite you to check it out on Youtube. It's been a while since we were in touch, so, hi! And we're hope you're doing fine. After Yuko - remember last year's album "As If We Were Dancing" - we signed a new band to Unday; Flying Horseman. We'd like to invite you to check out their forthcoming album "Twist", and its first single "Back Where I Started". Or maybe witness them live during one of their shows? 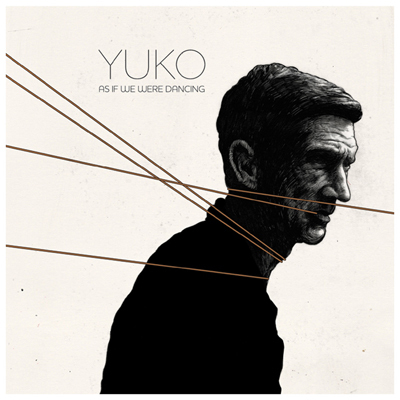 'As If We Were Dancing' is the anticipated second full album by Belgian band Yuko. It's the follow up to their acclaimed debut album ‘For Times When Ears Are Sore’ (2008). Their debut gained many excellent reviews, with features in Humo, De Morgen, De Standaard, RifRaf, Focus Knack, VIF Focus, Le Soir and many more! The album was awarded as one of the ‘Duyster essentials’ at the end of the year. Yuko established a matching reputation as a live band with concerts at Eurosonic, Pukkelpop , Crossing Border and Spot Festival (DK), support act for M83, Under Byen, Ladytron and Jason Lytle (Grandaddy). They played major venues in Benelux (AB, Botanique, Melkweg, 013 etc…). ‘As if we were Dancing’ is out now on CD, iTunes and gatefold vinyl including the CD. Here you will find some pics from their last gig at Stuk, Leuven. You can still check out the fantastic video for the first single 'Dolly Parton' on Youtube. Tonight you can hear Yuko during the Select radio show on Studio Brussels, tune in!! You'll hear an interview and a few tracks from the album.